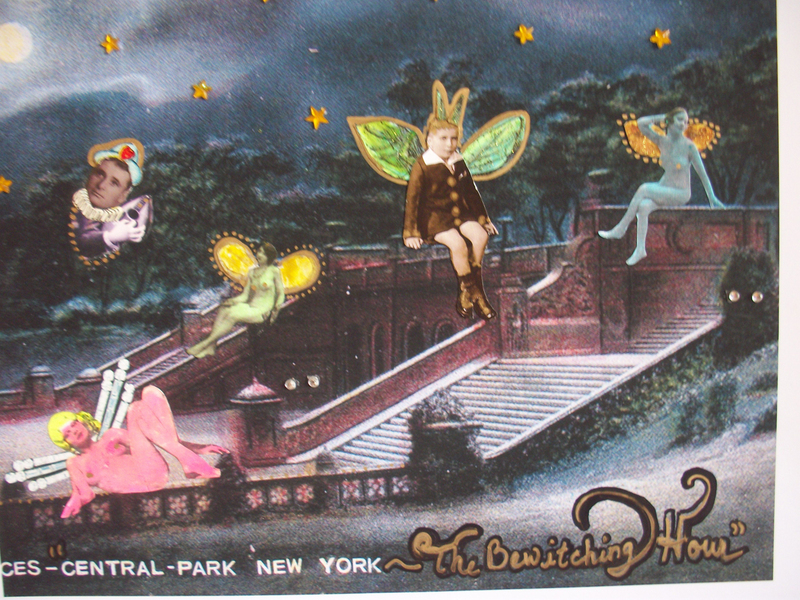 "Fairies Over" is my series of various mystical, magical creatures inhabiting a clueless New York City, and other places. 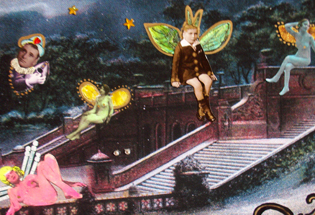 I use enlarged, enhanced vintage postcards, jewels, beads, vintage photographs, metallic markers and gellies. The originals are not for sale, but I'd be happy to sell you a print. Each print is 8.5x11 inches, printed on Canon Matte Photo paper, hand signed and hand embellished by me. They are $20 a piece, including tax and shipping and multiple prints ship for free.